6 We Will Make Peace Prevail! Joseph Walker (1934-2007), a journalist and labor advocate, died August 14 in New York City after a short illness. A resident of Harlem for over 40 years, Walker covered the "African American people’s struggle and other progressive struggles around the world whether those other movements were nationalist, socialist, communist, anti-imperialist, or organized labor". In 1976 he received the Julius Fucik Honorary Medal from the International Organization of Journalists. The Medal was in recognition of his outstanding achievement in journalism in the fight against colonialism, racism and fascism, and for world peace and understanding. He was survived by his wife Isabel Castro Walker of Manhattan. Born in Buffalo, New York on March 11, 1934 to the late Luther and Emma Walker, Joe Walker graduated from Buffalo's East High School and then attended Champlain College in Plattsburgh, NY (1952-1953) and Adelphi University in Garden City, NY (1953-1955). In 1955 Walker joined the U.S. Army and served honorably in Germany. In 1957 he returned to Buffalo and began his journalistic career, first as a reporter and then as the editor of the Buffalo Empire Star, a weekly black owned newspaper. From his father, who was the president of the Buffalo branch of the Dining Car Employees Union, Joe Walker grasped an early understanding of the trade union struggle and extended his work to include trade unionism. Using his pen to expose segregation and bias in Buffalo, he wrote many "courageous and honest articles" that brought him to the attention of Malcolm X and many supporters of civil rights. When financial difficulties forced the closure of the Empire Star, Walker accepted a job in New York City as a reporter and correspondent for Muhammad Speaks, the newspaper of the Nation of Islam and, at that time, the largest Black Newspaper in the nation. Initially Walker covered domestic events, such as the police assault on the Muslim mosque in Harlem, the Attica Prison assaults and the Angela Davis trial. Walker and his photographer, Joe Crawford, conducted the interviews and shot the photos that helped launched the international movement to defend Ms Davis. During these years, Joe Walker and Joe Crawford also assembled and produced three anthologies of work of African-American photographers—The Black Photographers Annuals. Forewords and Introductions to these annuals were written without pay by Gordon Parks, James Baldwin, Toni Morrison and Clayton Riley. Eventually Walker became the New York City Bureau Chief of Muhammad Speaks and its successor, Bilalian News. He also became the United Nations Bureau Chief for Muhammad Speaks and covered events around the world. He traveled to over sixty countries and attended many conferences and other international gatherings. From his travels he wrote a series of featured articles on the Middle East, North Korea, Cuba, the Vietnamese War, the Islamic areas of the Soviet Union and other "critical hot spots of the 1960s and ‘70s". John Woodford, the former editor-in-chief of Muhammad Speaks, said, "Joe was a journalistic super-star of the progressive world.Walker covered events worldwide such as Nguyen Thi Madame Binh, a Vietnamese delegate to the Paris Peace Talks; Dolores Huerta of the United Farm Workers Union; the Afro-Russian journalists Slava Tynes and Lily Golden; the Cuban Diplomat Ricardo Alarcon; and leading figures in many of the anti-imperialist African liberation movements, such as the ANC (African National Congress), FRELIMO (Front for the Liberation of Mozambique), MPLA (Movement For The Popular Liberation Of Angola), ZAPU (Zimbabwe African Peoples Union), and SWAPO (Southwest African Peoples Organization). In 1963 Walker began work in New York City for Local 1199, the Drug and Hospital Employees Union, AFL-CIO, where he was the Editor of Union Publications. 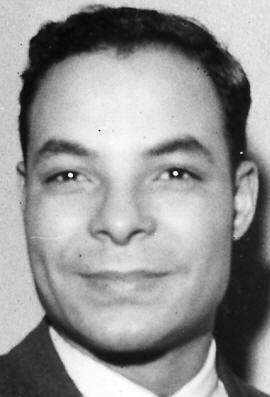 Later he worked at Local 144, the Hotel, Hospital, Nursing Home and Allied Health Services Union, where he was Editor of publications and director of public relations; and in Albany at the New York State Public Employees Federation (PEF) where he was a public relations specialist and editor of publications. The signatories which included Joseph Walker New York Editor "Muhammad Speaks", urged Congress to act on North Korea's Concerns. Joe Walker, Bilalian News. .
Joe Walker was listed on the Committee of Sponsors. U.S. members listed, included; Joe Walker, Former NY Editor, Bilalian News. In 1985, a delegation of 16 Afro-American journalists traveled to the Soviet Union, German Democratic Republic and Czechoslovakia. The trip was organized by International Organization of Journalists executive Don Rojas, the American educated former press secretary to Grenada's late leader Maurice Bishop, in conjunction with the Black Press Institute, the National Alliance of Black Journalists and the National Newspaper Publishers Association-the US's largest organization of owners of black newspapers. It was a very unusual trip because we were given access...Every effort was made to give us as much as we asked for...We came back feeling that we could speak very well about the interest of the socialist countries in promoting peace. This was before the (Soviet nuclear test ban) moratorium, this was before the Reykjavik offers...It was very clear to us in our conversations and interviews with people at that time, that this was already something of concern and, something that would be promoted when the opportunity arose, as we can see that it has been. In 1987 Joe Walker was on the Board of Directors of the Black Press Institute, International Organization of Journalists-US. In February 1989, the Communist Party USA, organized an 80th birthday celebration for Simon Gerson in New York. Joseph Walker, president of the U.S. chapter of the International Organization of Journalists, brought messages for Gerson from the IOJ's international president, and the German Democratic Republic, and spoke of Gerson's long membership of the Newspaper Guild, and his leadership of the IOJ's U.S. chapter. Joe Walker, Trade Unionist, former New York Editor of Muhammad Speaks Newspaper. In 1996 Joe Walker also became a college instructor, teaching popular courses on the history of the Black Press at the City College of New York's Center for Worker Education. He also maintained his hand in journalism by writing articles for several black newspapers. His last job, from which he retired, was as an Account Developer for the Worker Opportunities Re-Employment Center . During his life, Joe Walker enjoyed professional and personal relationships with a number of dignitaries, civil rights activists, and freedom fighters to include Martin Luther King, Jr., Muhammad Ali, Malcolm X, Angela Davis, Adam Clayton Powell,Jr. James Baldwin, Hulan Jack and David Dinkins, the former Mayor of New York City. At the 70th wedding anniversary celebrations of Simon Gerson and Sophie Gerson in 2002, Joe Walker, former editor of Muhammad Speaks, recalled his friendship with the Gersons dating from the struggle to end the Vietnam War and to free Angela Davis. This page was last modified on 4 July 2012, at 09:08.